BlytheLife.com » Introducing… Blythe Lifecast! Blythe Lifecast is a podcast produced by Lauren (Cakewalk_Queen) that will be featured here, on BlytheLife.com! In partnership with Michelle at blythelife.com, I’m going to be doing a bi-weekly podcast all about Blythe. Episodes will include news, hot topics, and a question and answer session. For now, it will be half an hour and just me talking. Hopefully in the future, we can add Skype interviews and discussions! I’m so excited about this project and have to give a big thank you to Michelle who was nice enough to let me host it on blythelife.com. If you have a question of any kind regarding Blythe that you would like an answer to, please send me an email at blythelifecast@gmail.com. 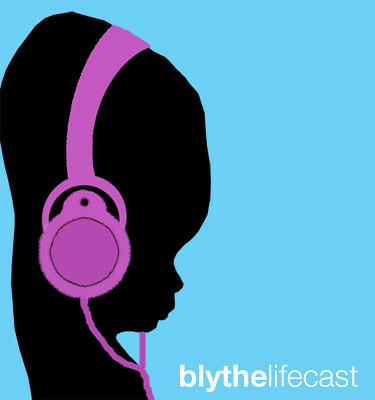 You can also follow me on Twitter @blythelifecast. I’ll be posting updates and news there. I’m aiming to have the first episode up and ready for download by August 1st so please send in your questions and suggestions!